Founded in 2011, Lumo Bodytech develops smart sensors and software to optimize human potential and empower you to be the best version of yourself. The Lumo Lift and Lumo Back posture and activity trackers provide actionable feedback to encourage you to stand tall and move more to promote a healthier, active lifestyle. 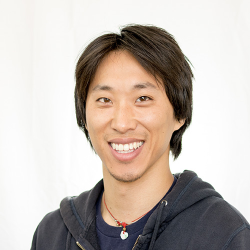 Lumo was founded by Stanford entrepreneurs Monisha Perkash, Dr. Charles Wang and Andrew Chang and is backed by Madrona Ventures, Eric Schmidt’s Innovation Endeavors, and Jerry Yang’s AME Cloud Ventures. 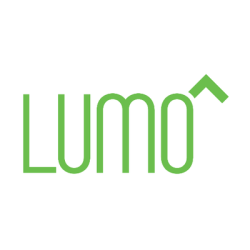 Lumo is privately-held and headquartered in Palo Alto, CA. Charles is focused on finding innovative solutions to the world’s most pressing problems. He has extensive experience uncovering true market needs and product-market fit at Veracyte, a molecular diagnostics company funded by Kleiner Perkins Caufield & Byers, TPG Biotech, Versant Ventures, and Domain Associates. Involved with Veracyte from seed stage incubation through Series A and B financing, and finally to the company’s first product launch, Charles played a key cross functional role which also drew upon his expertise in healthcare and training as a physician. Charles holds an MBA from the Stanford Graduate School of Business, an MD from New York University, and a BS from UC San Diego. He lives in Palo Alto, CA with his wife and 2 daughters. Focused on building technology to enhance our relationships with ourselves, each other and the world around us. Formerly US Dept. of Energy. Al Gore’s Alliance. Stanford MS Engineering. UMich Electrical Engineering. Lumo Bodytech has created health wearables such as Lumo Run, and now it is making its platform available to partners so that they can make a wider variety of wearables with personalized feedback. The Lumo Motion Science Platform is available now to partners, who can use it to deploy wearables that provide real-time, actionable feedback on human movement. Mountain View, California-based Lumo Bodytech said the Lumo platform combines sensor data with advanced algorithms to help better understand and optimize human movement for better health, physical performance, and injury risk reduction. Image Credit: Lumo BodytechThe Lumo Motion Science Platform has been powering all Lumo products, including Lumo Back, Lumo Lift, and, most recently, Lumo Run. For example, algorithms powering Lumo Back and Lumo Lift can be used to promote safer lifting of heavy objects in a warehouse environment, while those powering Lumo Run can be applied to the medical field as gait analysis and fall detection. As the fitness wearables market continues to climb, Lumo Bodytech, a startup making wearables focused on things like running and posture, has decided to further business revenue by licensing its platform. These third party partners will be able to integrate with Lumo to track health and fitness within products such as clothing, jewelry, and other everyday items. She did, however, mention a number of times that some of the technology provided would be based on fall detection and prevention, particularly for elderly patients. Perkash also believes her technology could be integrated into everyday items such as clothing and glasses and that partnering with these larger companies gives Lumo the reach needed to get it to the next level. Lumo doesn’t see this move as a pivot and says it will continue to create its own products in-house like it has with Lumo Lift, Lumo Back, and Lumo Run. Accolade describes itself as a healthcare concierge. Its customers are large, self-insured companies—as well as health insurance providers—that want to see their employees and their families make better use of the healthcare benefits they provide. Last year, Rajeev Singh and Mike Hilton, co-founders of travel expense software company Concur, joined Accolade as CEO and chief product officer, respectively. The company already draws on scores of data streams from health benefits administrators, including claims information and the latest clinical practice standards to provide its recommendations to patients. Accolade now has more than 50 employees in Seattle and continues to hire. Walgreens has cultivated quite the digital health ecosystem under Adam Pellegrini so Fitbit’s move to recruit the vice president of digital health is going to leave the retail drugstore chain a bit out-of-pocket. Although some privately expressed surprise by Pellegrini’s decision, it seems like an inevitable move given that there’s so much cross-fertilization in the realm of connected health devices. He partnered with many digital health and wearables companies to support its Balance Rewards program. In addition to Fitbit, Walgreens partnered with Jawbone and Lumo Bodytech. “I’m a passionate believer in the power of digital health technology to improve the effectiveness, efficiency and reach of our healthcare system,” Pellegrini said in the news release. Why would GE Appliances start FirstBuild? Ideas take a long time to become products, but GE Appliances wanted to make the design and production ramp less daunting so young developers and engineers can create exciting new products. Instead of the normal way of building and selling a product, the GE team wanted their own internal engineering groups to build their ideas alongside a community of “makers” that will help fix, refine, and improve the product. FirstBuild is calling for engineers to show their ideas off at its microfactory, which has 37,000 square feet, enough for 200 projects. Winners receive $2,500 and the microfactory builds the product and sells it in low-volume to test markets, with the opportunity to expand production if it sells quickly. The global wearable computing market is expected to reach more than $171.2 billion in 2021, with a compound annual growth rate (CAGR) of 50%. Global market trends are analyzed with global market revenue data from 2015, estimates for 2016, and projections of market developments through 2021. The history and current state of the wearable computing market is reviewed and the types of devices available are discussed. This report provides:An overview of the global markets for wearable computing technologies and applications. Analyses of global market trends, with data from 2015, estimates for 2016 and projections of compound annual growth rates (CAGRs) through 2021. Research and development of smart fabrics got a boost from a Department of Defense plan to create a manufacturing innovation institute to develop innovative fabrics and new approaches to textiles manufacturing, according to a government statement. The research may also be used to establish lab standards for smart fabric research, according to Genevieve Dion, director of Drexel’s Shima Seiki Haute Technology Lab in an interview with the Philadelphia Inquirer. Some of the funding will be allocated to a Mid-Atlantic research group chaired by Drexel, according to the article. Its regional partners include Temple University, Philadelphia University, and the MEDstudio at Thomas Jefferson University. Other Pennsylvania members include Carnegie Mellon in Pittsburgh and Penn State in State College. Lumo Lift Posture Coach and Activity Tracker, $79.99, available at Lumo Bodytech. So in an effort to correct my slumped-ness, I decided to give the Lumo Lift a try over the course of couple weeks. The Insider Picks team writes about stuff we think you'll like. Business Insider has affiliate partnerships so we may get a share of the revenue from your purchase. Jeff Bezos, CEO of Amazon, is an investor in Business Insider through his personal investment company Bezos Expeditions. Current Lumo Bodytech products include the Lumo Lift posture coach and activity tracker, as well as the Lumo Run smart running shorts and sensor. The Lumo Run wearable device combines the powerful data of a running lab and the personal attention of a coach. The Lumo Run wearable device is available for pre-order now, and will be shipping this summer. MOUNTAIN VIEW, Calif., Feb. 26, 2016 /PRNewswire/ -- Lumo Bodytech, the creators of the Lumo Run smart running shorts and wearable sensor, today announced a partnership with world-renowned triathletes Mark Allen and Meredith Kessler. Lumo Run provides real-time feedback to improve running form and efficiency, which can increase performance and reduce the risk of injury. Walgreens Balance Rewards program spurs members to earn points for participating in health-related programs and tracking their progress toward a goal, according to information from Walgreens. A collaboration with Qualcomm Life last year provided medical device connectivity and allowed members to sync certain digital health devices to their Balance Rewards account. 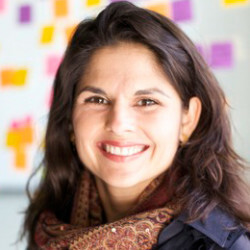 In an interview last year, Lumo Bodytech CEO Monisha Perkash said its interest in employer collaborations represented a shift for the business, which previously sold only to consumers. A few months after Lumo Bodytech closed a Series B round to the tune of $10 million to support its efforts to add partners, the wearables developer has inked a deal with Walgreens to include its posture sensor in its wellness program. Lumo Bodytech also works with Validic to aggregate user data from its wearable and other devices so the data can be viewed in context with other activities. Current Lumo Bodytech products include the Lumo Lift and Lumo Back posture coaches and activity trackers, as well as the Lumo Run smart running shorts. 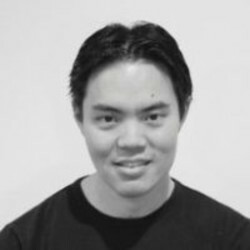 "We're seeking to do something extremely ambitious with Lumo Run," said Dr. Charles Wang, Co-Founder and Chief Operating Officer of Lumo Bodytech. PALO ALTO, Calif., Feb. 12, 2016 /PRNewswire/ -- Lumo Bodytech, the creators of the Lumo Run smart running shorts, today announced the formation of a board of advisors made up of prominent members from the running community. Information on Lumo Bodytech and their products is available at www.lumobodytech.comContactsLumo BodytechTansy Brook+1 (650) [email protected] [email protected] Lumo BodytechRelated Linkshttp://www.lumobodytech.com Lumo Bodytech is privately-held and headquartered in Palo Alto, CA. Information on Lumo Bodytech and their products is available at www.lumobodytech.comTo learn more about the Lumo Bodytech technology platform visit www.lumobodytech.com/platformSOURCE Lumo BodytechRelated Linkshttp://www.lumobodytech.com Current Lumo Bodytech products include the Lumo Lift and Lumo Back posture coaches and activity trackers, as well as the Lumo Run smart running shorts. Lumo Run is an example of how Lumo Bodytech's platform technology, apparel embedded wearable biomechanics sensor systems, will solve long-standing problems within the health and medical communities. Lumo Bodytech is privately-held and headquartered in Palo Alto, CA. LAS VEGAS, Jan. 6, 2016 /PRNewswire/ -- CES Conference -- Today Lumo Bodytech, the makers of the Lumo Run smart shorts, announced it has partnered with elite runners to improve training for runners by collecting and analyzing their individual digital signatures in running using advanced wearables technology. CES StatisticsIn 2015, CES broke attendance records and 2016 is set to do that again. CES Conference and ExhibitionSometimes you attend a show for the conference portion and sometimes you attend one to see the exhibitors. There are some other consumer IoT products that will be showcased and popular this year according to MediaPost. All of the tech gurus, tech companies, and like-minded computer people will be converging in Las Vegas this week for the annual International CES convention. Presented by Consumer Technology AssociationMaking Disney Magic: Connecting Digital and Physical WorldsGlobal Innovation. Even more encouragingly, we can see signs that patients, physiotherapists and the rehabilitation community are primed for a Quantified Self revolution. Amidst all of this excitement, though, it’s worth asking: what more should we be doing with Quantified Self? The rehabilitation community urgently needs a new approach to this problem, and I’m optimistic that a solution might be right around the corner. Quite a few startups have sprung up over the last few years that hope to bring Quantified Self into the rehabilitation world. Quantified Self thinkers and entrepreneurs, I’d like you to meet your biggest challenge so far- how to transform the rehabilitation community for the better, and make a significant positive difference in patients’ lives. It’s hard to overstate how enormous a problem low back pain has become for our health care system. Imagine if back pain patients had the right tools to monitor their movement and pain- what a difference that could make! For some insight, let’s consider a different condition: diabetes. They can also use the data together with their physiotherapists and other health care professionals, in order to evaluate their rehabilitation progress using data rather than recall and guessing. One thing we’ve learned from the recent revolution in diabetes care is that when you open up a field to outside developers, they’ll build great things. Apple Unveils Low-Cost iPhone 5C in 5 ColorsApple has unveiled its new iPhone 5C, a lower-cost iPhone that's offered in various colors. 5 YouTube Tutorials for Fancy Fall UpdosThese YouTube tutorials show that a fancy updo is possible to achieve at home. 10 iPhone 5S Cases to Protect Your New Apple ToyHere are 10 iPhone 5S cases that let you access the new Touch ID fingerprint scanner, while looking stylish. Apple Reveals iPhone 5SApple unveiled the next generation of the iPhone — the iPhone 5S — on Tuesday. Mashable has rounded up the week's top 25 digital media resources for your convenience. I quickly realized the LUMO app was not compatible with my iPhone 4, so I needed to borrow an iPad to use it. The following is a log of my first three days, which I spent (mostly) committed to my new posture-obsessed gadget friend. But, after finding my standing-at-a-streetlight posture was much worse than my walking posture, I realized my subway posture was indeed among the most abhorrent. While walking didn't upset LUMO, it would vibrate when I stopped at a crosswalk as if on cue. This entailed a bit of bending over to get a pot, reaching up to the top shelf, and other things LUMO didn't seem to like. LUMOback 7/10 Wired Thin waistband monitors and corrects poor posture by emitting nagging vibrations when you slouch. It’s called LUMOback, and it’s nothing more than a wafer-thin sensor attached to a belt you wear around your waist. It gently vibrates when you slouch, nagging you to correct your posture. While plenty of scientific research demonstrates the correlation between poor posture and spinal pain, the question is: can a device like LUMOback remedy this trend? I wore the LUMOback band for over a week, and was regularly subjected to its nudge-in-the-back, vibrating reminders. The quantified self movement is in full force, and SF-based LUMO BodyTech is one of the beneficiaries of this trend. LUMOback is the first such product and app from the LUMO BodyTech brand, and likely won’t be the last. The sensor works independent of the app, but can connect to it at any time to transfer and help track data. The sensor was designed by Monisha Perkash and her co-founders Charles Wang and Andrew Chang. LUMOback is now shipping out to early Kickstarter backers, after having reached more than double its $100,000 funding goal on the crowdfunding site.